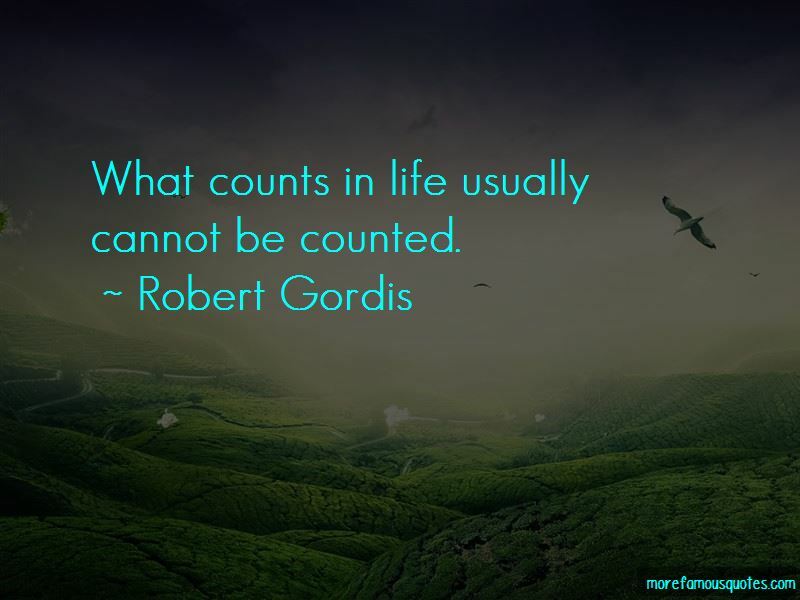 Enjoy the top 5 famous quotes, sayings and quotations by Robert Gordis. Institutions are essential in order to preserve the achievement of the past, but the original creative impulse in every age comes from the amateur, the rebel, the breaker of idols. On every important issue life transcends logic and it is folly to depend on reason alone. 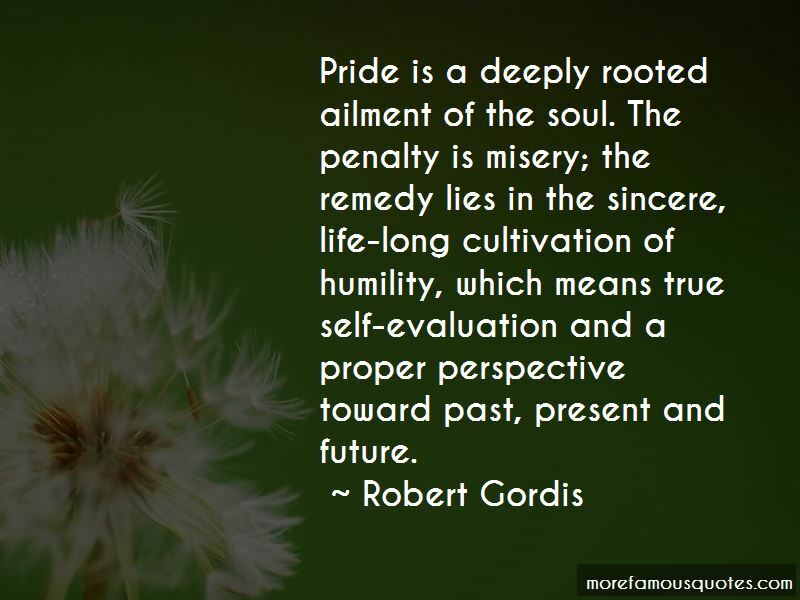 Pride is a deeply rooted ailment of the soul. The penalty is misery; the remedy lies in the sincere, life-long cultivation of humility, which means true self-evaluation and a proper perspective toward past, present and future. 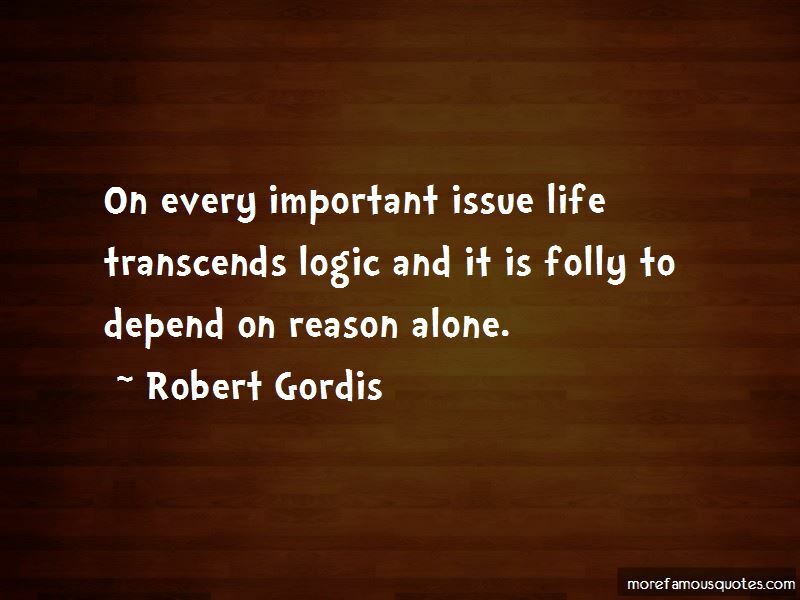 Want to see more pictures of Robert Gordis quotes? 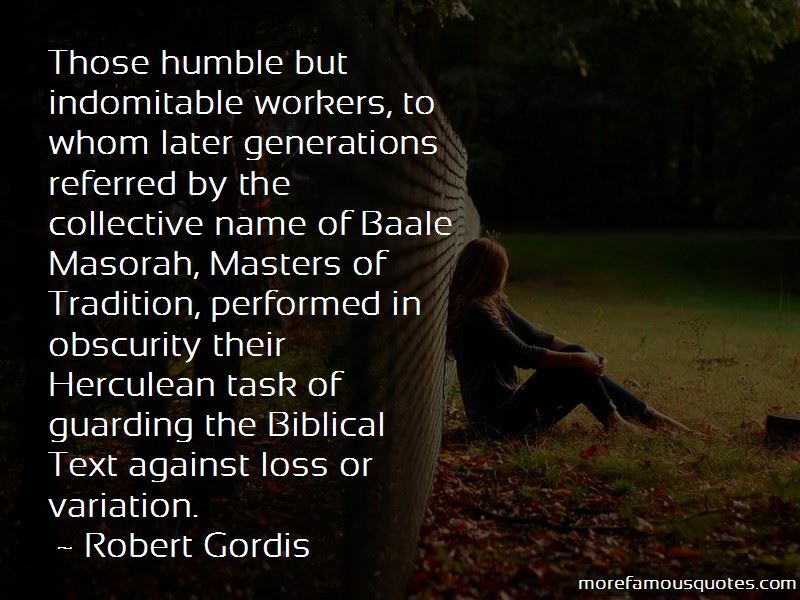 Click on image of Robert Gordis quotes to view full size.